Kalindi Kunj acts as the meeting point for South Delhi & Noida. It&apos;s the exact point where Delhi ends & Noida starts. 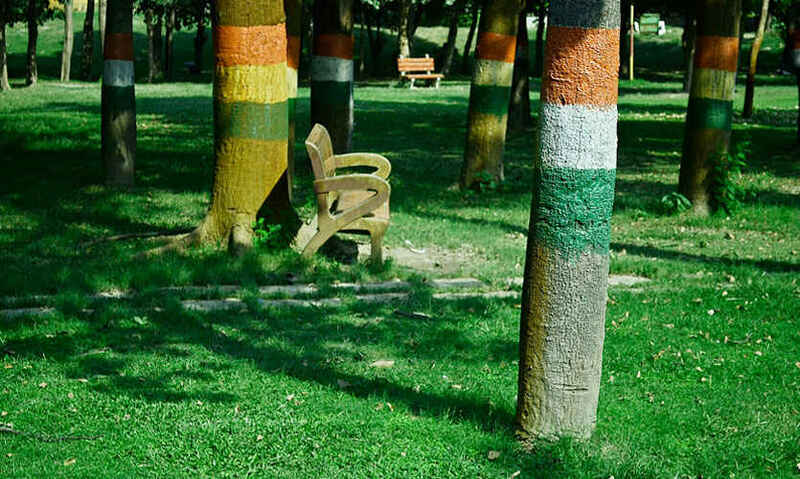 Beautifying the area & for the amusement of the public, the Kalindi Kunj Park has been constructed on the Kalindi Kunj Road, Abul Fazal in Jasola Vihar and one can even view the beautiful & picturesque park from the outside while travelling on the road! Here&apos;s what we found when we took a stroll there. It looks like a newlywed bride at night as it gets brilliantly lit with a thousand lights! 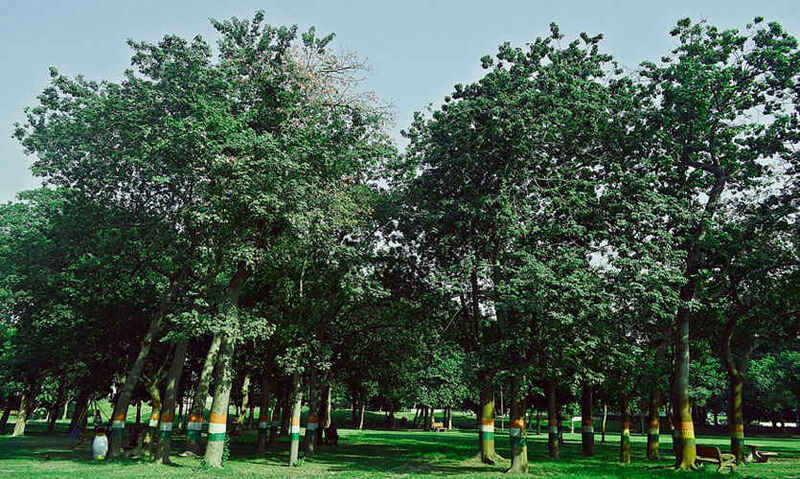 The pretty, expansive park is mesmerising with its young trees & green grass; the flower beds add colour to the park while the gushing fountains & tranquil lakes rejuvenate the senses. The 3.5 hectares of land boasts an amusement park as well. A giant wheel named Delhi Eye - a replica of the London Eye & the Singapore Flyer have recently been added. The wheel is 5 full metres up from the ground, and there are 36 AC viewer-cabins to give you a view of the city of places such as Nehru Place, Friends Colony, CP & Lotus Temple as the wheel revolves for 20 mins for each ride. Plus, there are other Delhi rides on offer, including Parachute Towers, Striking Cards & Frisbees. With so much to offer, the park has earned the reputation of a favorite picnic spot for kids as they have a handful of activities to keep them busy, whereas the elders find it a perfect place to relax & unwind. 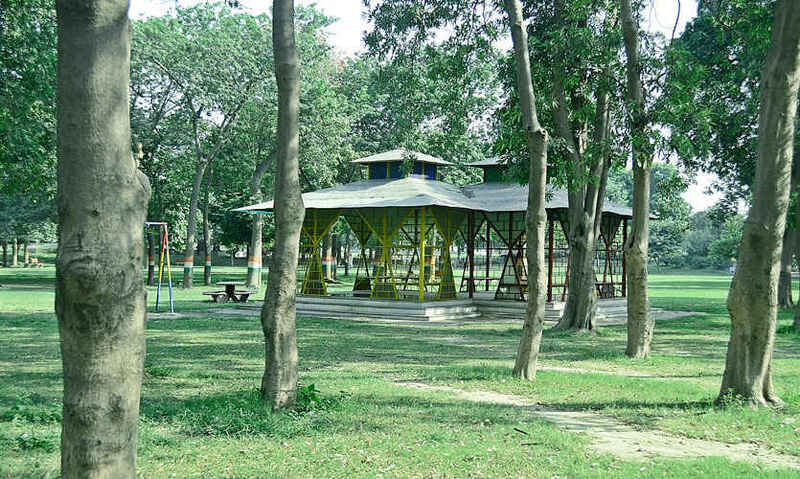 The entry fee for the park is currently as low as Rs 100 on weekends & Rs 50 over the weekdays. For the Kid Zone, the entry fee is Rs 25, which includes all the activities. The Bala Sahib Taxi Stand adds to the pros of the park, as it provides convenient ferrying to and fro services to the visitors, in case they don’t have any other conveyance. Various factory outlets of reputed brands at Abul Fazal Colony, next to Shahin Bagh sell fashionable goods. There&apos;s a mall called the Living Style Mall at Jasola that offers lots of modern amenities. Kalindi Kunj is witnessing a fast growth rate with posh residential areas such as Sarita Vihar & Jasola Vihar tucked right next to it. The world class business centres, management institutes & call centres are also located in the nearby areas. A 27 km-long bypass, starting from Kalindi Colony & ending at Palwal, Haryana, as well as a Metro line, happily reduce the travelling time of the commuters and visitors. Come drop by to witness a side of Delhi you&apos;ve never seen before!